« Opera Express: Bohème on the go! Sometimes we don’t always appreciate one of Canada’s best examples of Beaux-Arts architecture right under our feet. Union Draws sponsored by TD continues this year, providing free drawing classes at Union for beginners and pros alike. 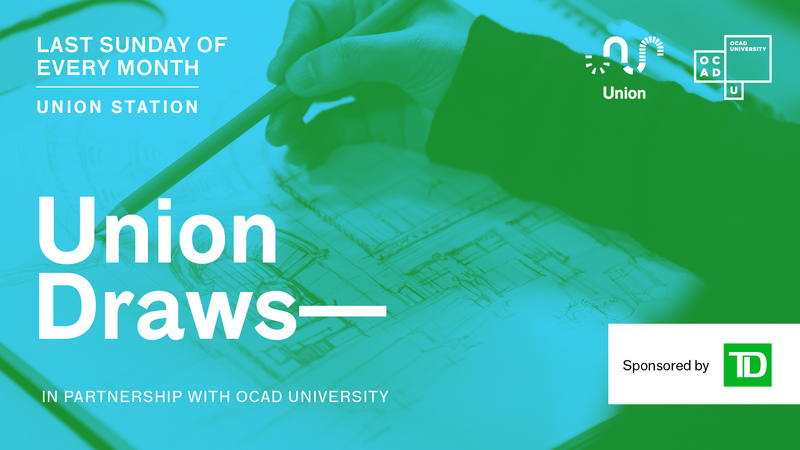 All lessons are led by OCAD U instructors, with a full program curriculum over the five months providing instruction on different aspects of drawing with a focus on the historic architecture of Union. This month is all about Negative and Positive Space. Learn the power of seeing between objects by playing with positive and negative space to depict mass and area. All artists’ materials will be provided. Registration will open on April 15th at 12pm.